I moved here at 19, exhilarated and starry eyed after a year travelling the world by myself. While friends headed out across the width and breadth of England, for me it had always been London. I grew up just a 30-minute train ride from the city in a suburban Surrey town. We’d save our money and buy a train ticket up to London at weekends; making a pilgrimage to the big Top Shop; playing games in the Trocadero; or heading to Camden during my grunge phase. I remember my first gig here, aged 13, watching Oasis, surrounded by people smoking weed while I wondered what the smell was. My first home in the city was Hampstead, an unlikely and upmarket spot for some shabby halls of residences. That was the year I fell in love with the city in a way I could never fall out of. Like family, it became a part of me, etched into who I am. As I rode the number 13 bus into university, I’d feel a thrill as it rounded onto Trafalgar Square. The grandeur of this city moved me; I was proud to call it home. Those first two years of uni were a gluttonous feast of all the revelry the city could offer. It was when Shoreditch was first thought cool and back when Soho was still affordable. I made friends I’d have for life. We went out every night, danced to the Libertines at Frog, and never seemed to need to stop. After Hampstead, I lived with seven people in a house in Camberwell that became famous for its parties. I remember an old school friend who came to my 21st, dazzled by the energy of our world: “Tori, this is wild” he said. Then came the third year; a year of exams and dinner parties. I moved out of the rave house to a mansion down the road. The owner was an eccentric who rented it to us for cheap. Works of art lined the walls and at New Year we held a 1920s-themed murder mystery party. We lived a life of pseudo-splendour, dotted with revision breaks in front of Neighbours and pints at the Hermits Cave. My love for the city continued to grow as its streets became familiar. London had become my home. 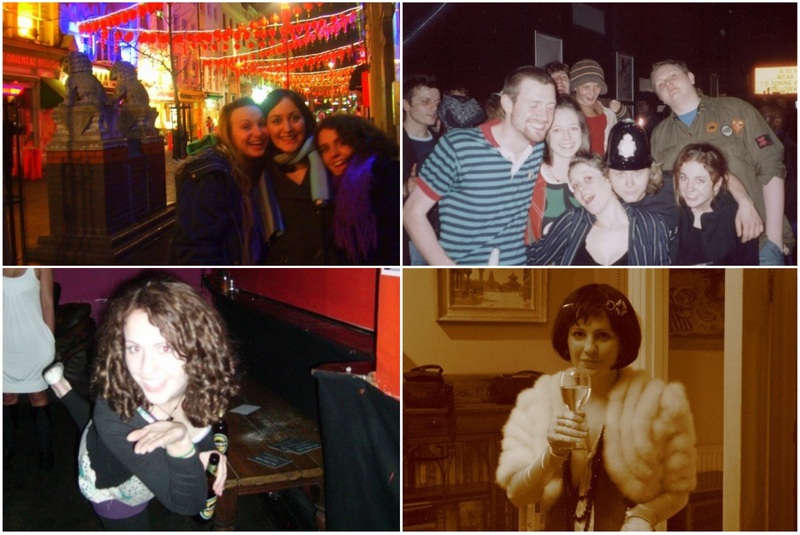 Some random photos I found from my university days in London, including that 1920s murder mystery party! I stayed another five years, through four more houses and 15 more housemates, always on the south of the river. I loved the journey into town. Waterloo is my favourite bridge and each time I crossed it on the Number 12, I’d feel thrilled by the city’s beauty. This city lights the soul. But with time, my London lost its lustre. A mixture of grief, commuting, and the yearning for something else, meant I longed to leave the city. 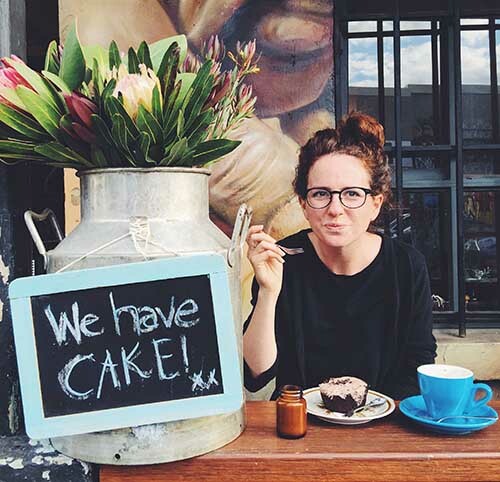 There were beautiful moments – buying a first home in Peckham being the cherry on the cake – but the city that once gave me energy now seeped that energy away. I knew I needed out. As readers of this blog will know, I left for three years straight on a journey around the world. 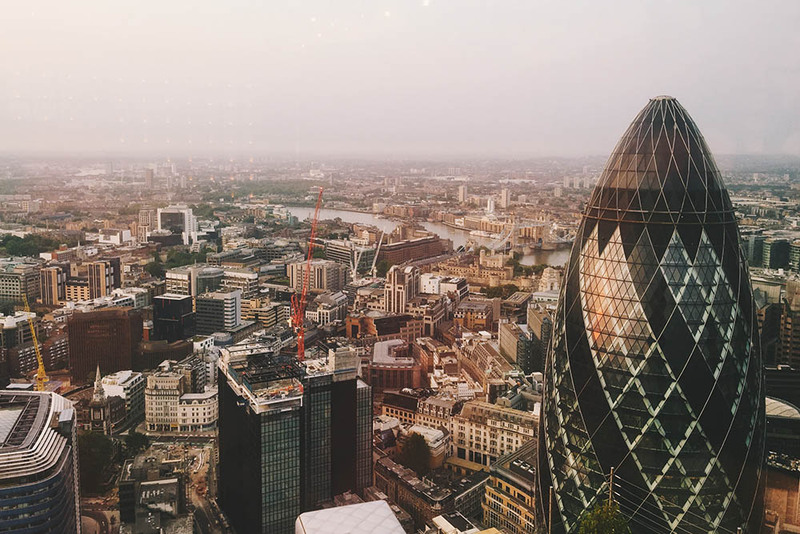 I came back for visits and enjoyed London for days at a time, but I didn’t want to stay, finding its pace too frenetic and brash. I preferred the speed of Mexico, Bali, Berlin. I thought I’d never return. But the allure of the city came back, and in 2015 we finally came home and made London our base. That’s how it’s been for the past 18 months and my love for the city has been rekindled. It’s been like being reunited with an old friend, slowly learning each others new quirks and remembering all the reasons you love them. We won’t stay here forever, the prices are simply too high and the pace a little too quick, so soon we’ll be moving somewhere new. But for now, I’m back in love with this place that I call home. 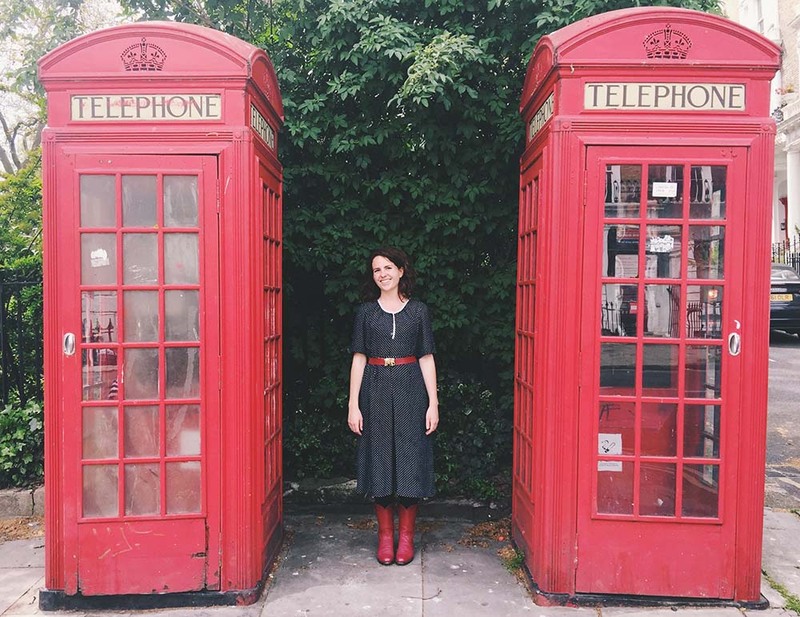 Since starting this blog, I’ve barely written about London, just a few posts now and then. Although I still have travels to write about, and more travels to come, over the next few months I also want to share some of London. When I first dreamed of living here, I longed to be a part of the city, to learn its streets and discover all its hidden corners. Over 13 years later and there’s so much still to explore, but I’ve also learned a lot and have plenty of tips to share. Steve and I are currently working on an exciting project, making a series of six films all about London (more on that soon, I promise). The project has been taking us to all my favourite corners of the city and is making me fall in love with London all over again. I’ll be sharing those films, as well as some other tips along the way. And for photos, be sure to check my Instagram (I’m officially addicted to it). I’m looking forward to sharing my city, the London I call home. Where’s home for you? Do you love it? Is it a love it/hate relationship? And what do you think of London? Thanks Miranda. I’m looking forward to sharing them. Hard at work making them all now! Filming takes so much time! Dear Victoria: Extremely happy to read about your adventure. I will be interested to know more about your nomadic life. How do you keep busy. Hoping to hear from you soon. I dream of living in London one day. I can only stay for 2 years as I’m an Aussie but I think that will be long enough to appreciate the city without growing tired of crowds and prices. I hope? Beautifully written, Victoria. London has a special place in my heart, too. My dad grew up there, so we used to visit my grandparents all the time, and I always wished I could live there. Even now I still sometimes wonder whether I should make it happen, even if only for a year. I’m not sure I can cope with the pace of life now, though! Looking forward to reading your London stories. Thanks Andrea. The pace of life is quick, but it’s surprising how easy it is to fall into step with it! I LOVE London. Lived there for about 3 years only, but it’s a place I still like to call home and *feel* is home whenever I visit. I’ve left some 7 or 8 years ago now, but I still miss it and always will (why does it have to be so damn expensive!!!). I just came across your blog & I’m so glad I did! It’s such an inspiration – thank you! I’m currently living in the Pacific Northwest but grew up in England. One random favorite childhood memory of London is visiting Trafalgar Square and buying little bags of seed for sale to feed the pigeons: shades of Mary Poppins! We’re coming over for a friend’s wedding – I’m excited to visit since I haven’t been to London for awhile. Your posts have whet my appetite! I first went to London on an organized trip with a friend when we were 15 years old. We stayed in a host family (if that’s the correct way of saying it). We are both from the Netherlands, and her English wasn’t even good enough to understand the heavy accent of our hosting family back then, but we both fell in love with Londen in those few days. As I read trough your article, I feel a kind of jealousy as well as excitement. I’m 22 years old now and I’ve been in London every year since, but only for a coupe of days. I love to walk around and know my way around the inner town by now and I can just picture it as you write about your bus passing Trafalgar Square. For some reason I have always felt this connection to London and I really liked how passionate you wrote about this.